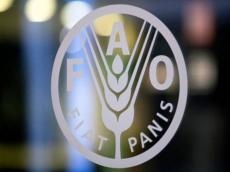 Although Azerbaijan is a low-forested country, it has rich biodiversity, said Ekrem Yazici, Deputy Chief of the FAO/UNECE Joint Forestry and Timber Section, Trend reports. According to him, there are more than 450 species of trees and shrubs in Azerbaijan, 70 of which are endemic. Yazici also said the international experience is taken as a basis for the development of the National Forest Program. According to him, the adoption of this program will play an important role in further increasing the interest of the youth in this area.